As we near the end of 2010, many people are wondering if a Roth IRA conversion is the right move for them. 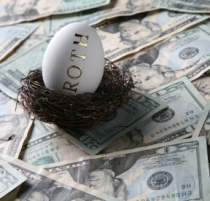 Why so much focus on Roth IRAs this year? The rules that determine who can convert a traditional IRA to a Roth IRA have been changed which will allow more people to convert to Roth IRAs. Before 2010, only people with modified adjusted gross incomes of less than $100,000 could convert. Starting in 2010, this income limitation has been lifted, meaning most people are eligible to convert their traditional IRAs to Roth IRAs. In addition to the income limitation being lifted, the IRS is allowing taxpayers who do a Roth IRA conversion in 2010 to spread their taxes out over two years. So instead of paying it all on your 2010 tax return, you can pay half in 2011 and half in 2012. This may seem like a no-brainer for people who want to do a Roth IRA conversion in 2010, but don’t leap before you look. Just because you can do a Roth IRA conversion in 2010 doesn’t mean you should do a Roth IRA conversion in 2010. Withdrawals from traditional IRAs are taxed at your ordinary income tax rate, so if you are in the 15% tax bracket you’ll pay 15% on the amount withdrawn, if you’re in the 28% tax bracket you’ll pay 28% on any distributions, etc. Distributions must be taken from traditional IRAs once you reach age 70 1/2. Your ability to contribute to an IRA may be limited if your income is high. Qualified withdrawals (must be at least age 59 1/2 and have had the Roth for at least five years) are not subject to income tax. Roth IRAs are not subject to the required minimum distribution rule that traditional IRAs are. If you expect to be in a higher tax bracket when you will need the money, then a Roth IRA probably makes more sense. If you think you will be in a lower tax bracket when you retire, then a traditional IRA may make more sense as you’ll get a tax break up front when your tax rate is higher. So Should You Do a Roth IRA Conversion in 2010? Many people are not able to contribute to Roth IRA accounts because their income is too high. Thanks to the income limit for Roth conversions being lifted in 2010, taxpayers who didn’t have access to Roth accounts before can invest in them now by converting their traditional IRAs. Because of the tax advantages of Roth IRAs, when you convert a traditional IRA to a Roth IRA, you have to pay taxes on the entire amount converted. This can be a substantial tax bill depending on how much you convert and what tax bracket you are in. You have funds outside of the IRA to pay the tax resulting from the conversion. While Roth IRA conversions won’t be right for everyone, some people will benefit from the new 2010 conversion rules. The people who will benefit the most include people who have been unable to contribute to Roth IRAs due to income limits and people who expect to be in a higher tax bracket when they retire (or who are convinced that tax rates will continue to go up regardless of which bracket you are in).